It's no secret: a point of sale is not a cash register. Well, technically it is, but it’s way more than that. A point of sale is an inventory management tool, a customer relationship management database, a data source for reports that enable you to make decisions based on past performance, and more. Oh, and yes, you can use it to ring sales. 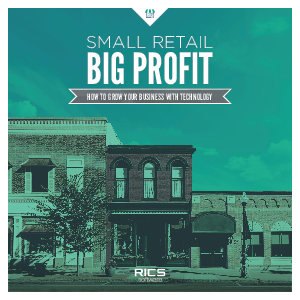 It used to be that real-time technology was only available to enterprise retailers or behemoths with equally large pocketbooks. That era has passed. With the wide accessibility of deeply functional, cloud-based retail software comes a new age: the age of the small and midsize retailer. Technology has evened the playing field and empowered these businesses to compete in a faster-than-ever, personalized, customer-oriented retail climate. to maximize benefits within this new environment.